In the year 1713 with the contract of Utrecht, the steep rocky peninsula of Gibraltar became British property. Today, the rock is visited by 4 million people each year, mostly for toll free shopping. Many of Gibraltar’s attractions are linked to its strategic location. Half way up the rock sits the dungeon of a Moorish castle from the 8th century. It is still a prison today. St. Michael’s cave and the monkeys are part of the Upper Rock Nature Reserve. 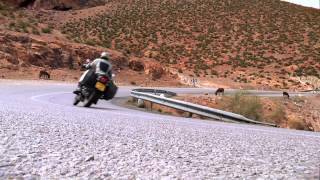 Experience oriental flair, awesome roads, interesting people and a completely new culture on this motorcycle tour through Morocco. It will introduce us to the Orient with new impressions: The witnesses of the Islamic culture, the royal cities of Fes and Marrakesh, the street of the Casbahs, the multi-faceted landscapes of the high Atlas, the couloirs, the desert and the oases create the setting for this motorcycling tour through the kingdom of Morocco. We start our tour with a ferry ride from Málaga to Ceuta, a Spanish enclave in Africa. The curvy mountain streets welcome us on the African continent before we ride down to Rabat and Marrakesh. The world here is really oriental: the souks, the markets and narrow alleys, the lovely chaos, the scents of the Arabian Nights – a whole new experience. Besides our ride to the biggest desert in the world and its enchanting oases, the street of the Casbahs is surely the scenic highlight on this tour. So along with all your souvenirs, you’ll take home countless memories from this motorcycle tour. We would like to thank Edelweiss for another fantastic trip - the tour exceeded our expectations. Can’t wait for the next one!!!! Morocco is like to escape in a different world: After having crossed over from Gibraltar to the African continent we soon entered Morocco and have been greeted by a diversity in beautiful landscape and exotic culture. Chefchaouen is probably the most beautiful town in all of Morocco, with its blue-painted houses. Especially at night we were amazed by the busy athmosphere of Djemaa el-Fna in Marrakech. The souks are chaotic and impressive at one time. Riding a motorcycle over the High Atlas and through the dry dessert ist just mind-blowing and the absolute highlight for us was riding a camel in the dessert and spending the night under the stars. Our vacation to Morocco was a perfect mix of adventure, culture and relaxation and absolutely worth the visit. Unsere allererste Edelweiss-Tour hat uns nach Marokko geführt und wir haben diese Reise so sehr genossen, dass wir sofort das Jahr darauf auch mit Edelweiss nach Südafrika gefahren sind. 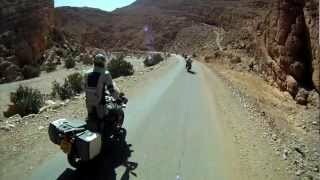 Beide Touren sind einfach großartig hinsichtlich der Motorradrouten, der spektakulären Landschaft, dem Zusammenhalt in der Gruppe und den fremden Kulturen, die es zu entdecken gilt, wie zum Beispiel die Medina in Marrakesch und Fes oder die Safari und Shakaland in Südafrika. 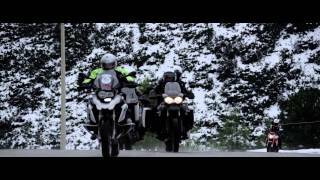 Edelweiss hat wirklich unvergessliche Touren zusammengestellt und wir werden sicher bald wieder ein Motorrad-Abenteuer mit dieser Firma buchen. I received my picture yesterday and my wife Mary commented to me how impressed she has been through out the whole experience with Edelweiss. Very well done and very professional. Thank you!  Thanks Peter! We'll do our best to enjoy the rest of this amazing trip.  Wow ! Tolle Bilder !! Da will ich auch mal mit euch hin !